Palenstijn, W.J, Batenburg, K.J, & Sijbers, J. (2013). 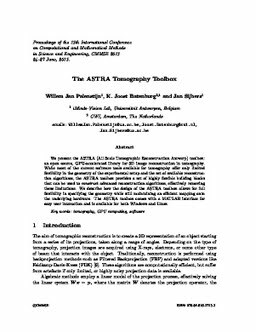 The ASTRA tomography toolbox. In Proceedings of International Conference on Computational and Mathematical Methods in Science and Engineering 2013 (CMMSE 13).